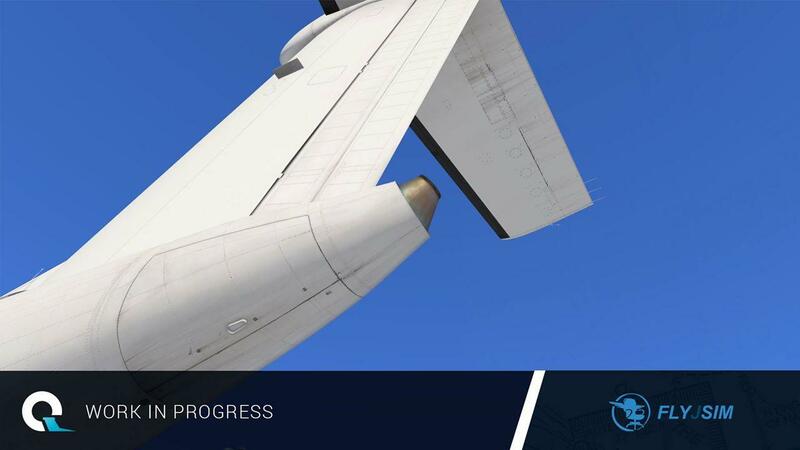 FlyJSim have released some more development images and notes of their forth coming new version of the Dash Q400. Anticipated around the last quarter of 2019, then this regional prop liner has a lot to live up to with the current detail and quality required for X-Plane11 lately. But as FlYJSim won my best overall for the year in 2018 with their excellent Boeing 737 TwinJet then there is everything to lose and not to gain. "This month we’re going to be presenting some early work of the modelling and texturing. We’ve set a high bar for ourselves following on from the modelling of the FlyJSim 732 Twinjet V3. 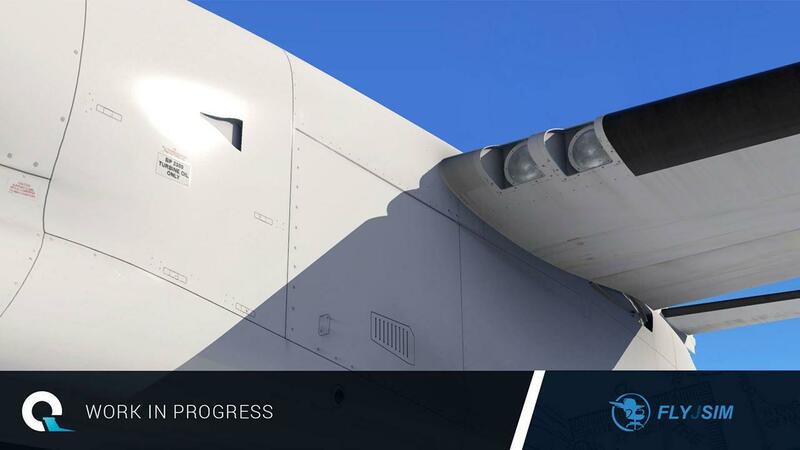 For the Q4XP, we’re making sure that the external visuals are carefully crafted to accurately represent the aircraft. We stress the following images are early work-in-progress and are subject to change, but hopefully will serve as a tease as to what is to come. The following images are also taken directly in X-Plane 11." "Here we have one of the main gear struts for the Q4XP, one of our most detailed external areas. With the help of our Q4XP experts and technical data, we have near millimeter accuracy on every wheel, strut, screw and pipe. It’s just a fraction of the amount of detail X-Plane can actually handle. The texture work here is done by Valdudes. His PBR workflow has captured the subtle roughness of the tires, and the mattness of the brake dust across the gear to create a Q400 which feels worn out and abused." "That detail extends to the Turboprop housing. We’ve split our model over multiple texture maps, ensuring that we can cram as much detail as possible. Every screw and dirt streak will be visible from close proximity. We can’t wait wait to see how painters utilize our HQ textures. We also cannot wait to see our YouTube pilots fly some interesting approaches, and replay their landings with the gears and engine in view." "And finally, a preview of the rear APU outlet and tail/stabilizer. Take particular attention to the discoloration of the APU exhaust outlet. Observe the linkages in the tail, or the dirt around the APU door housing. Everything represented is handcrafted modelling and texturing to invoke the spirit of the Q400. As we transition into the interior model, you’ll slowly see parts of the cockpit and cabin come alive, and we hope to bring you a truly stunning rendition of the aircraft." "There should be an upcoming “quality of life” patch to these aircraft that is going to lightly refresh the 727 and 732 with some small new features and aircraft performance/flight model tuned for X-Plane 11.30. What new features exactly? 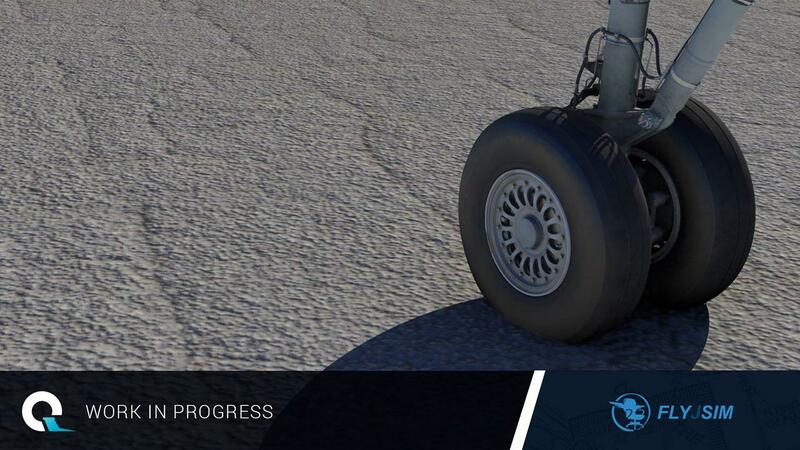 Well, you will have to wait and see…"
As the FlightSim Expo is coming up on the 5th-7th June and FlyJSIm are due to appear their, then expect not only the updated B737/B727 to be updated and present, but even maybe a few views and an earlier beta of the Q4XP. A bit overdue but nonetheless most welcome - hopefully those of us current owners will get a discount. That's definitely one point of view but not mine so I'll keep my fingers crossed.